The latest instalment in Tom Clancy’s Ghost Recon series is finally here! But does Future Soldier impress or will it make fans wish it had kept its feet firmly in the past? 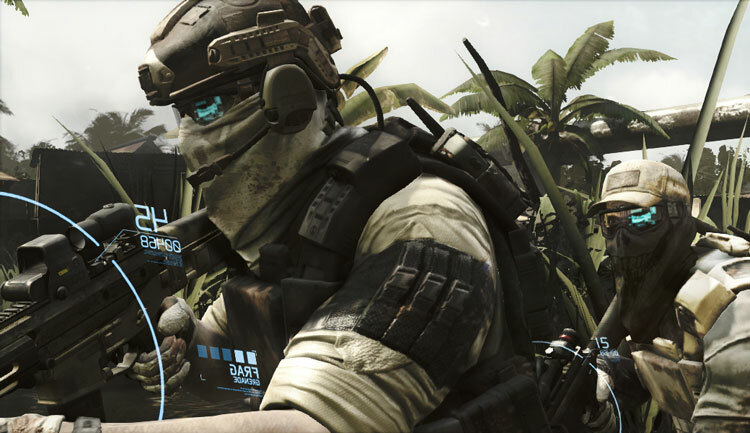 Ghost Recon: Future Soldier follows its traditional gameplay style with its third person, over the shoulder shooting. This will keep fans of the original games pleased but is also easy to pick-up for players new to the series as once the right stick is clicked the player is able to aim down the sights of their gun for those shots that need more precision. Even the Ghosts like to play "Follow the Leader" sometimes. The single player campaign is both gripping as well as fun to play through and the pacing for the campaign seems just right. The action is fast, intense and hardly lets up. Infiltration missions throughout the campaign also keep the tension high and make you believe that there’s a lot riding on you and your team of Ghosts. The harder difficulties are also perfect for players who are veterans of the Ghost Recon series. As a huge Ghost Recon fan I found the Elite difficulty challenging but not too challenging which is perfect for a returning player and can be conquered by newcomers with some practice too. 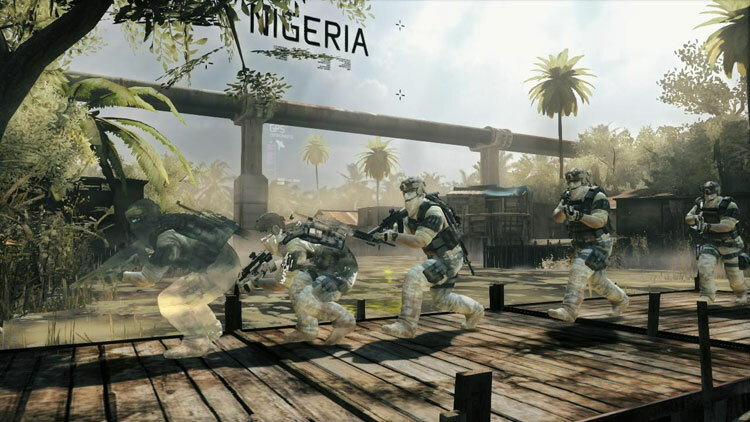 Future soldier also features a new game mode in addition to the online multiplayer called “Guerrilla”. Guerrilla is effectively a horde mode but as you battle through the waves the objective changes. For example the first wave is an infiltration mission and once this was complete the second wave was a defend the objective type game. This mode can be played both online and offline. I found Guerrilla mode incredibly fun and I feel it adds a new dimension to the horde game-type that is commonly seen in other shooters. A completely new addition to the Ghost Recon series is the Gunsmith customization. Gunsmith allows the player to take their gun and modify it in practically any way they want. From changing your assault rifles trigger to allow quicker follow up shots or changing the gas system within your gun to make the gun fire faster or slower. This experience is improved further through the use of Xbox 360’s Kinect. Kinect allows the player to customize their gun without the use of a controller by using the Kinect sensor as well as preset voice commands to tweak and optimize their load outs for the battle ahead. For example you can swipe through the various options using hand gestures or you could just say the phrase “Optimize for…” followed by how you want your gun to handle. So “Optimize for power” will switch the weapon and its attachments to be powerful but not necessarily easy to handle. From start to finish the game has some gorgeous visuals to accompany its already impressive array of features. Lighting throughout both the single player and multiplayer is amazingly realistic and throughout the time I played the game stayed consistently awesome to heighten realism. The rest of the games visuals also don’t fail to impress. Even when in an intense fire fight with a group of enemies its hard not to stop and look at the amazing environments that surround you. That said throughout the time I played I did notice some occasional texture popping although its rare and when it does happen it hardly detracts from the action. 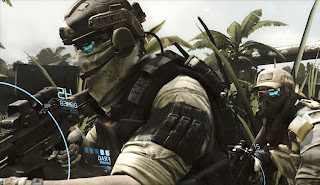 Ghost Recon Future Soldier has a solid online structure to go along with the rest of the game. The online multiplayer features a number of different game modes, which give enough variety to please most shooter players. Fans of generic team death match type games may be a tad disappointed, as the closest you can get to a team death match is the game mode “Conflict”. This is a game type where the objective changes throughout the match. These objectives vary from capturing some Intel to killing the VIP. The ever-changing objectives make for a very interesting, as well as challenging experience. The constant threat of randomly becoming a high value target promises to keep you on your toes for the entire match. The latest technology is used in order to complete the objective. The objective based Multiplayer really makes a change from your standard run and gun shooter to the point that it makes you think tactically about how you could take an objective. 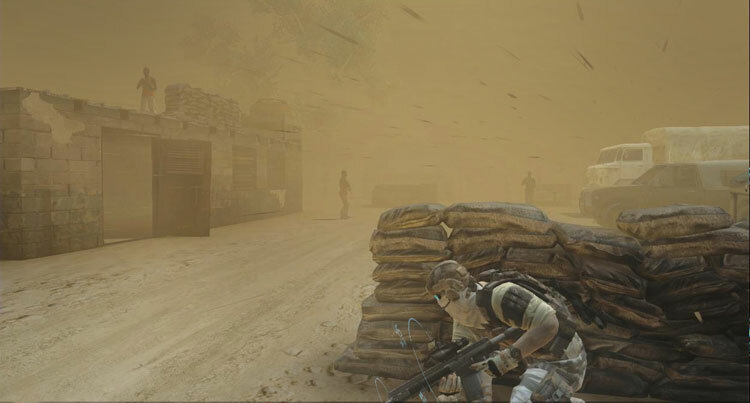 Even as a veteran within the Ghost Recon series I found the Multiplayer very challenging, yet easy to get used to. Ghost Recon: Future Soldier is a fast paced action extravaganza and should not be missed. The single player is addictive as well as gripping and the multiplayer will have you playing as a Ghost for a long, long time.